Silversmith Kate Hamilton is shown in the workshop of her home in Ruskin. 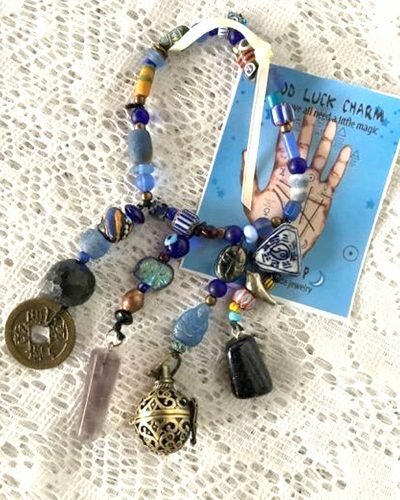 She will be among 20 artisans and fine crafters showing and selling their creations from 9 a.m. to 2 p.m. Nov. 17 at the Firehouse Cultural Center in Ruskin. Twenty local artisans will show and sell their creations for area residents to do some early holiday shopping at the Firehouse Cultural Center Nov. 17. 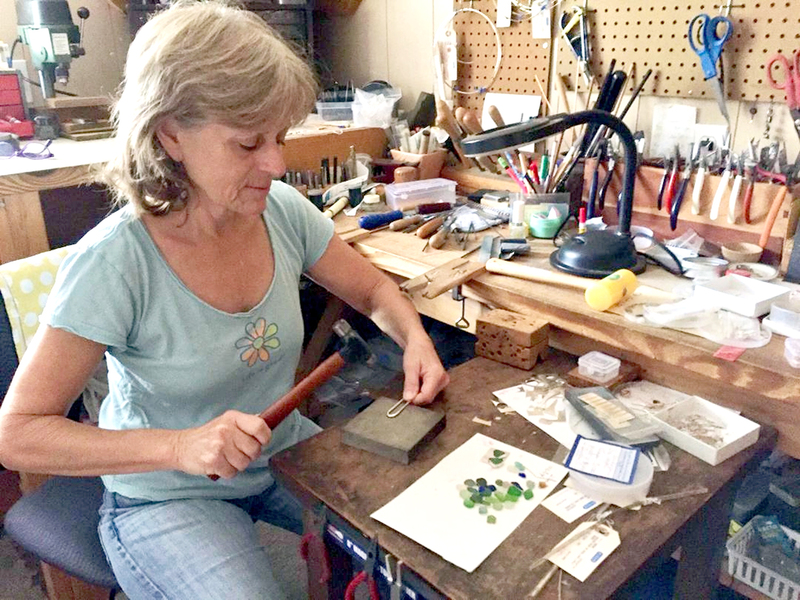 “Our first-ever Made by Hand art show and sale will feature the work of artisans and fine crafters in the South Shore area,” said silversmith Kate Hamilton, of Ruskin, who co-organized the event with her neighbor and fellow artist Dee Hood. The event will feature works of glass, fabric, jewelry, pottery, mixed media, 3-D art, acrylic painting, drawing, rustic wooden furniture, lamps and children’s books by local author David Lillis, of Parrish. Carol Hubbell will sell her famed home-baked pies and cakes. The International Mobile Kitchen food truck will be on hand, selling its five different kinds of cuisine. 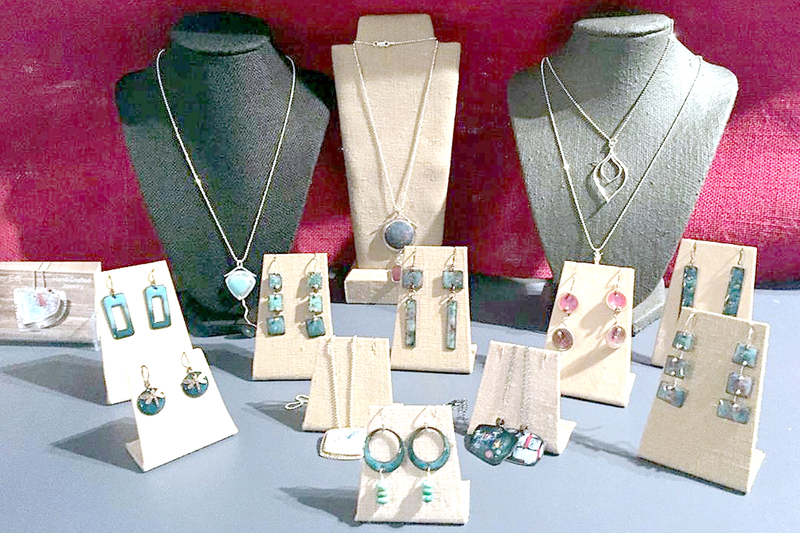 Made by Hand will feature all kinds of original, handcrafted jewelry like the pieces pictured here Nov. 17 at the Firehouse Cultural Center, 101 First Ave. N.E., Ruskin. Admission is free. Hamilton said Made by Hand was inspired by the former South Shore Gallery in Apollo Beach, where many local artists used to gather and sell their work and by a holiday open house her friend Virginia Spalter held at her Apollo Beach home and studio a couple of years ago. “The open house was quite successful, and other artisans in the area expressed an interest in our doing something similar,” she said. With the help of Spalter, Sandy Doran and Linda Smith, Hamilton and Hood met over a couple of weekends to paint banners and signage promoting the show. “I think people will be pleasantly surprised by the high caliber of work coming out of this area,” said Hood, faculty emerita of the Ringling College of Art and Design. “All the work is handcrafted and original. It will include items for children, women and men. Dee Hood, faculty emerita of the Ringling College of Art and Design, will show items like this Good Luck Charm bracelet at Made by Hand Nov. 17. Beth Stein, Firehouse Cultural Center events coordinator, said it’s an honor to host Made by Hand and support local artists who live by their talents. The Firehouse Cultural Center is at 101 First Ave. N.E., Ruskin. For more information, call 813-645-7651.